Investment in good pharma stocks will turn out to be a lottery to the investor. This crystal clear message was given by Rakesh Jhunjhunwala India’s warren buffet at the beginning of the current financial year. It seems Rakesh Jhunjhunwala was right. Best Pharma Stocks has given a magnificent return in last one year. Moreover, investment in good pharma compaines for long term always pays good returns to the investors. The pharma sector is performing well and it is expected that pharma stocks will give multifold returns in next five to seven years. So, it is recommended to inject a dose of pharma stocks in your portfolio. Before starting actual talk on best pharma stocks let’s find out why pharma stocks are good for the investment? Also Read – Top Sugar Stocks gives 1000% return in past one year – Should you invest? Why pharma stocks are good for Investments? aA major revenue of pharma companies comes in the US $ from export orders. The depreciating value of rupee gives export competitiveness to these companies. A Pharma Companies enjoys dual markets Indian and International. World-class research and development facilities of these companies give them a competitive edge over others. The pharma companies work towards innovation and come out with new products. These new products lead to an increase in revenue and profit margin of these companies. The best pharma stocks have given consistent returns to the investors in the past. 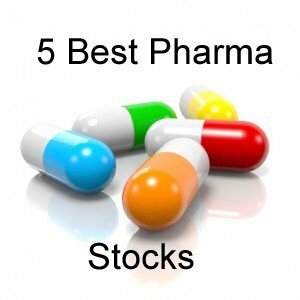 So, after understanding compelling reason for investing in pharma stocks, let’s take a look at the Top 5 Best Pharma Stocks for long term investment. Piramal Enterprises is Flagship Company of Piramal Group. The company has a presence in the pharmaceutical, financial services, and information management sectors. The stock of Piramal Enterprise has given CAGR return of 70.26% in last one year. TTM EPS of this stock is very good. This stock has given a consistently good performance in the past. Ajanta Pharma is most popular evergreen pharma stocks of pharma sector. Ajanta Pharma has given highest return to the investor in past five years. In last year this stock has given 37% return to the investor. This stock is expected to give better performance in future. You can invest in Ajanta Pharma. Aurobindo Pharma is leading pharma company. This year Aurobindo Pharma has given a negative return. However, in the long run, this stock has given very good returns to the investor. EPS and TTM EPS of the share are also good. Natco Pharma is consistent performer stock since past 5 years. CAGR return of the stock this year is 12.37%. Natco has recently got final approval from USFDA for Armodafinil tablet. You can plan to invest in Natco Pharma for the long term. Alembic pharma is one of the oldest pharma companies of India. YTD return of Alembic Pharma is -6.6%. However, at long run, Alembic Pharma has generated a very good return to the investor. EPS and TTM EPS of the stock are good. Do you think pharma stock will be a good bet for the future? « Where to invest money after Demonetization?